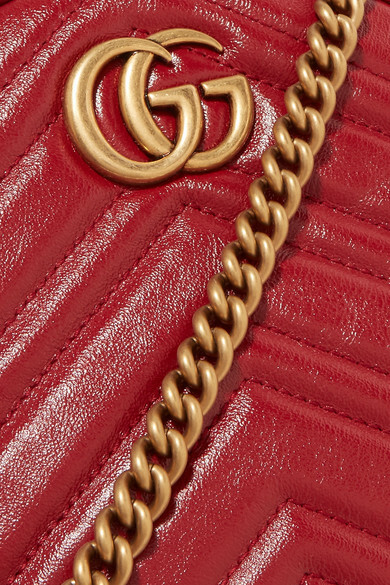 Gucci fans will already be well acquainted with the house's 'GG Marmont' family, but Alessandro Michele's latest tweak sees the cult bag reshaped into a circle. 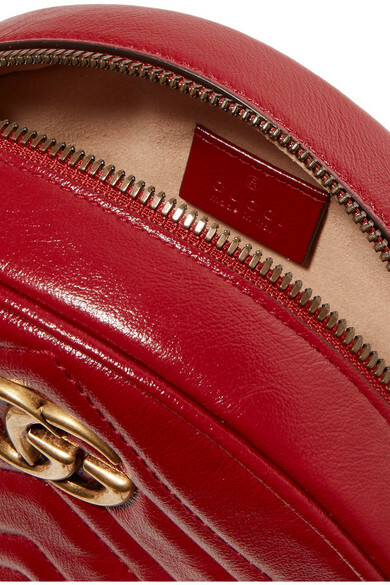 Made in Italy, this version is constructed from smooth quilted red leather detailed with signature gold hardware. 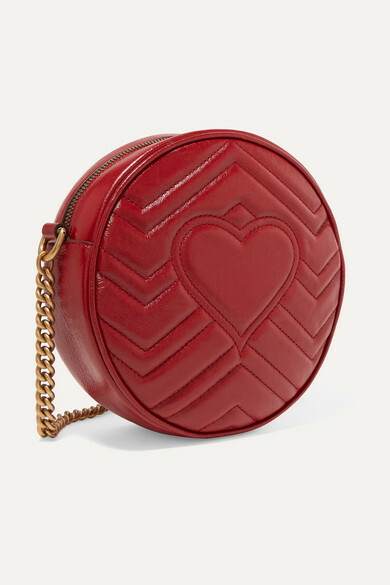 The embossed heart at the back is such a lovely touch. 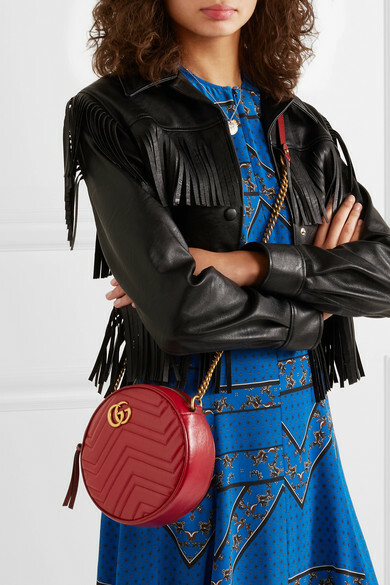 Shown here with: Stella McCartney Jacket, GANNI Dress, Neous Mules, Jennifer Fisher Earrings, Alighieri Necklace.